The winner will receive $6,000, attend a writing residency and have their work published on CBC Books. The shortlist will be revealed on Nov. 7, 2018. The winner of the 2018 CBC Poetry Prize will receive $6,000 from the Canada Council for the Arts, have their poem published on CBC Books and attend a writing residency at the Banff Centre for Arts and Creativity. Four finalists will each receive $1,000 from the Canada Council for the Arts and have their poems published on CBC Books. 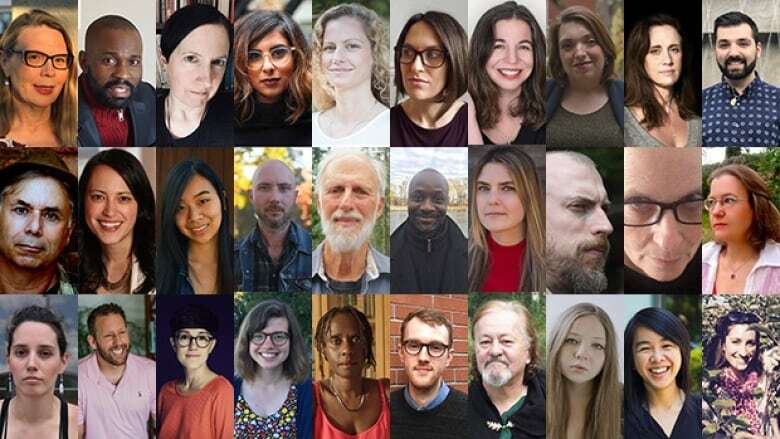 The longlist was selected by a team of poets and editors from across Canada. The 2018 jury, composed of Jordan Abel, Kai Cheng Thom and Ruth B., will select the finalists and winner from the longlist. The shortlist will be announced on Nov. 7, 2018. The winner will be revealed on Nov. 14, 2018. The longlist was selected from more than 2,500 English language-submissions. To see the longlist for the French competition, go to Prix de poésie Radio-Canada. The 2017 CBC Poetry Prize winner was Alessandra Naccarato for her poem Postcards for my Sister. If you're interested in the CBC Literary Prizes, the 2019 CBC Nonfiction Prize will be open for submissions on Jan. 1, 2019. Join our Canada Writes Facebook group for writers!